Gov. Phil Murphy discusses the new three-point, lap-shoulder seat belt law for school buses in a video posted to Twitter. New Jersey Gov. 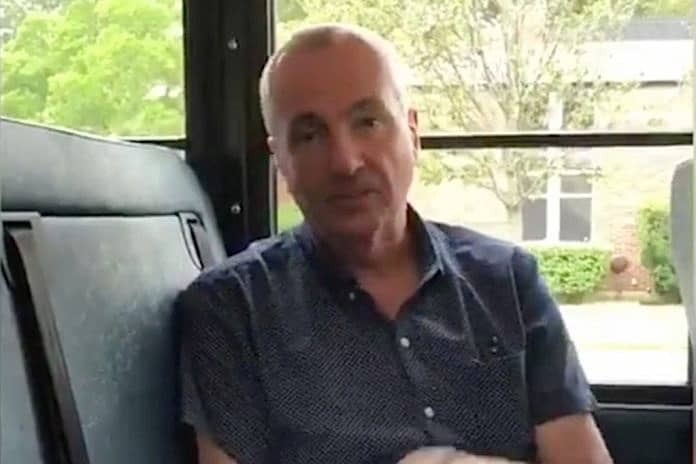 Phil Murphy signed into law A4110, to make the state the fourth in the nation to require three-point, lap-and-shoulder seat belts on school buses. The law goes into effect in early 2019 for all new school bus purchases. The bill was not the first time a New Jersey state legislator had attempted to upgrade the state’s existing school bus seat belt law requiring two-point lap restraints. But A4110 was fast-tracked in the aftermath of the May 17 fatal crash of a school bus operated by the Paramus Public Schools for an elementary school field trip. School bus driver Hudy Muldrow, Sr., allegedly attempted an illegal U-turn in the middle of Route 80 near Mount Olive and was struck by a dump truck. Ten-year-old student Miranda Vargas and teacher Jennifer Williamson were both ejected from the bus and killed. Dozens of others were injured. Muldrow faces two counts of vehicular homicide. “I’m not sure, no one is sure, if three-point belts would have saved their lives or reduced the injuries, but we sure know as a general matter it will make school bus riding a lot safer,” said Gov. Murphy in a video posted to Twitter after signing the bill on Aug. 25. Gov. Murphy signed the bill at Paramus Public Schools, which this summer voluntarily added the lap-shoulder seat belts to its fleet. He also demonstrated usage of lap-shoulder seat belts in a school bus via a video posted on Twitter. “It’s just like (what) you have in your car,” he added. We’re still reeling from the horrific crash involving students and educators from East Brook Middle School in Paramus. The amended law goes into effect in 180 days. There was no information immediately available as to student usage or new policies student transporters will need to adhere to, but the current lap-belt law does require students to buckle up. The remaining states with school bus lap belt laws on the books are New York, Florida and Louisiana, but the latter lacks necessary funding from the state legislature to enforce it. California has required all school buses to be equipped with lap-and-shoulder seat belts since 2005, while Texas updated its law last year to require the occupant restraints. After that, Nevada’s requirement goes into effect next summer. Meanwhile, the New Jersey Office of Legislative Services said the lap-shoulder seat belts will collectively cost all New Jersey school districts an additional $7.5 million to $10 million when purchasing a new school bus.